Whether you use your free subscription to provide a step-up from anonymous access or to replace it completely, you’re more than likely want to collect more information about your subscriber than the standard sign-up fields of name and email. Fortunately, Leaky Paywall provides a convenient hook that makes it easy to add fields to the free sign-up subscription form. Pretty straight forward. Now, you can just insert this code at the bottom of your theme’s functions.php and it will work just fine so long as you don’t change themes. WordPress purists would probably prefer that you created your own plugin as this is not really theme-related functionality but I’ll leave that for you to decide. Also, you won’t immediately see the new field in the WordPress admin interface. It’s added as a custom user meta field, so it won’t appear in the subscriber table under Leaky Paywall > Subscribers. And custom user meta doesn’t appear by default on Edit User screen but, fortunately, is easy to add via the show_user_profile and edit_user_profile action hooks. This code adds a new text input to the view profile screen (only the user can see this screen) and the edit profile screen (via Users in the admin interface) using the WordPress provided function get_the_author_meta to set its value. This simply hooks into the profile update process and makes sure that organization is saved along with the rest of the user profile data. 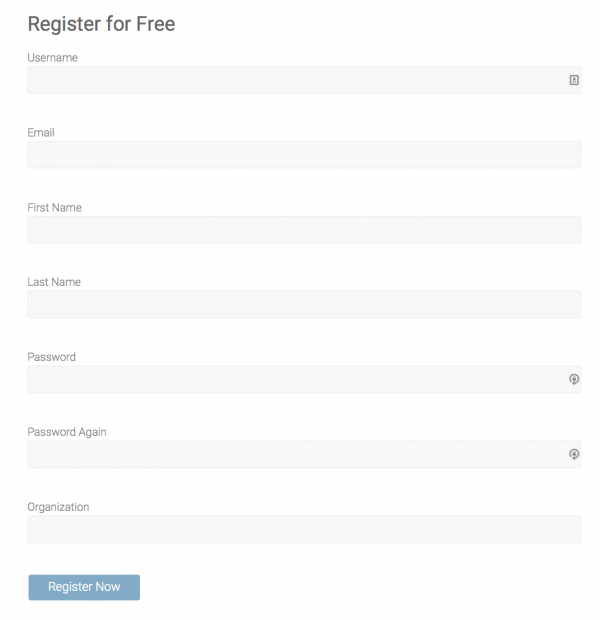 Now, you have a new field on your free subscription sign-up form and it can be updated by the user or an admin. And, of course, you can add as many fields as you need but remember you don’t want to make that sign-up too much of a hurdle, even for a free subscription. PLEASE NOTE: This article only applies to the sign-up for free subscriptions where the processing is completely managed by Leaky Paywall. This will not work for any subscriptions where payment processing is required.